Syrian activists said they weren't surprised with Mr. Assad's characteristic confidence. "The government's use of force is still capable of disrupting every move the street attempts to make," said Louay Hussein, a writer and founding member of an opposition political movement, not affiliated with the Syrian National Council. "There are no clear solutions or decisive steps we can take." The weekend violence was concentrated in Homs, Syria's third-largest city, and a larger province of the same name that has hosted a growing base of dissident soldiers fighting the army. 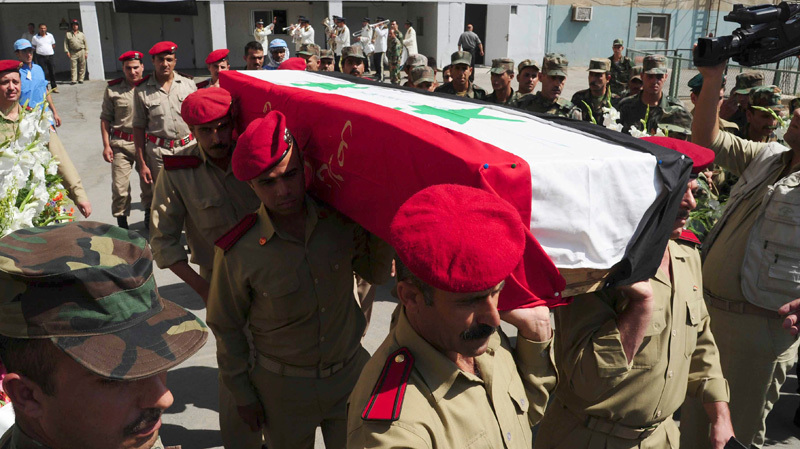 On Saturday, 20 soldiers were killed and a further 53 injured in fighting between the army and "what is presumed to be defected soldiers," according to the U.K.-based Syrian Observatory for Human Rights. Last week, massive crowds gathered in several cities, including Damascus, to pledge their loyalty to Mr. Assad. Syria's state television, broadcasting scenes of crowds chanting "The people want Bashar al-Assad," said some two million people gathered at the capital's Ummayad Square last Wednesday. 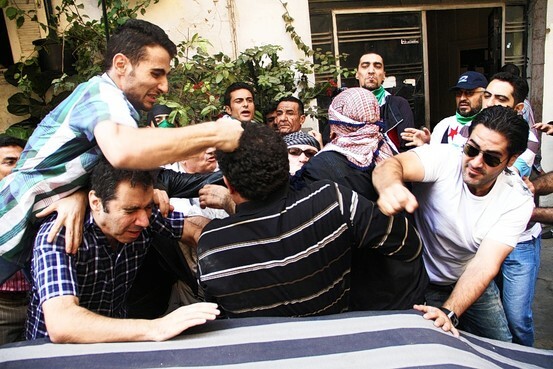 It broadcast fresh scenes of a loyalist demonstration in the southern city of Suweida on Sunday. "At one point, what we call the silent majority came to be aligned with the street protests at least from a humanitarian and moral point of view. But now they've stepped back again," Mr. Hussein said.